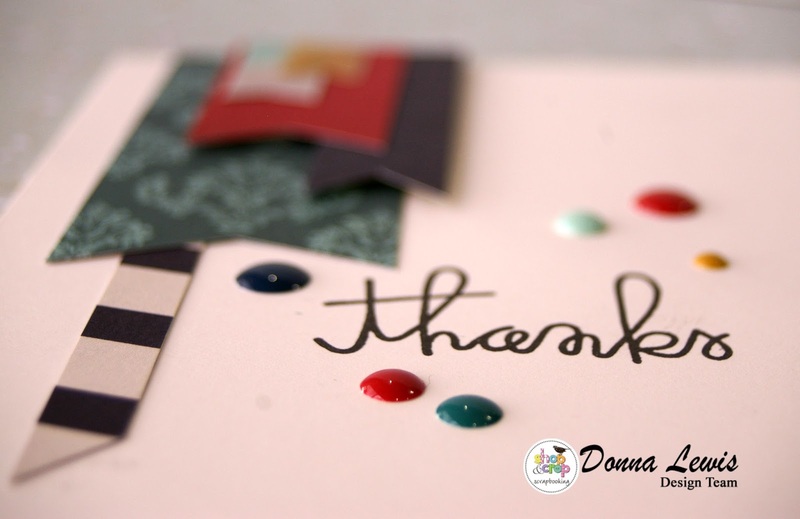 It's Donna here, and I do have a lot to be thankful for, but the title of this post is due to the fact that three of the four cards that I'll show you today are thank you cards. It seems that I was on a roll! If you are interested my take on the Inside Inspiration July Challenge, make sure you read to the end of this post. I've included details and my take on the inspiration image for your perusal! I give a LOT of thank you cards. 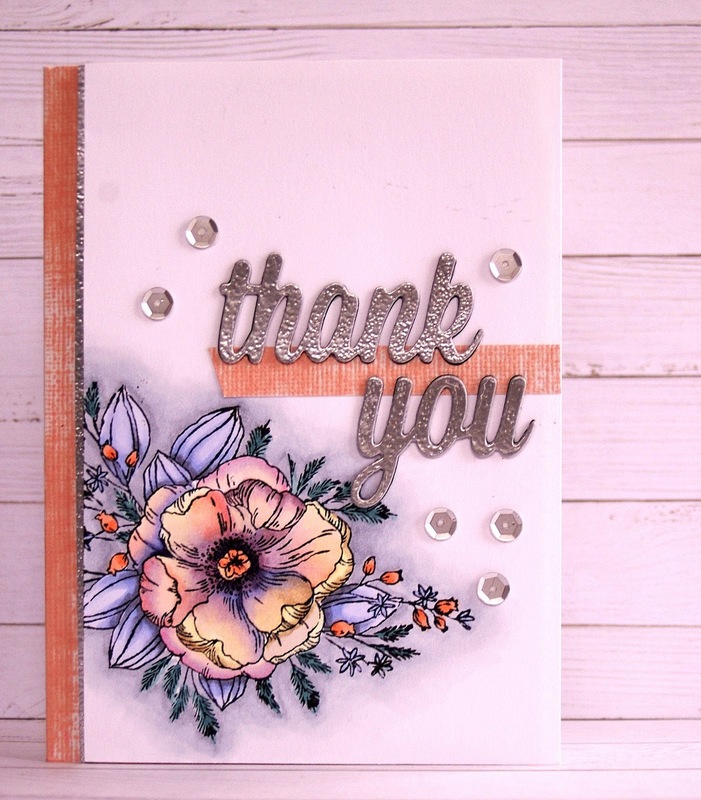 It's really nice to have these sitting in my stash of cards, so that I'm always ready to give them away. It's particularly pleasing to get some masculine cards for my stash. This week I've been playing with the Once Upon A Time range from Echo Park. This is a great range, with a strong medieval theme. If you have a child like one of mine, who spent several years of his childhood planning to be a knight when he grew up, this is wonderful for scrapbooking. Today, however, I've made some cards. 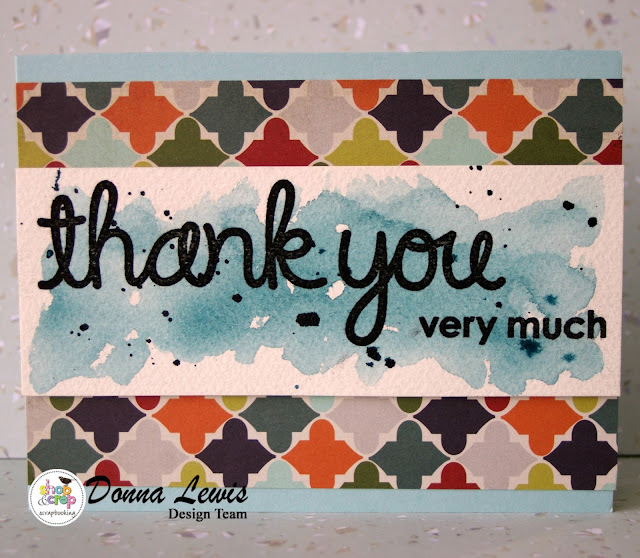 For this first card, I've used the mosaic tile paper and accented it with a watercolour panel. I used one of the colours in the paper, and painted two layers of watercolour paint, before spattering it with the same colour paint in a darker concentration. I then stamped the sentiment in a bold font. 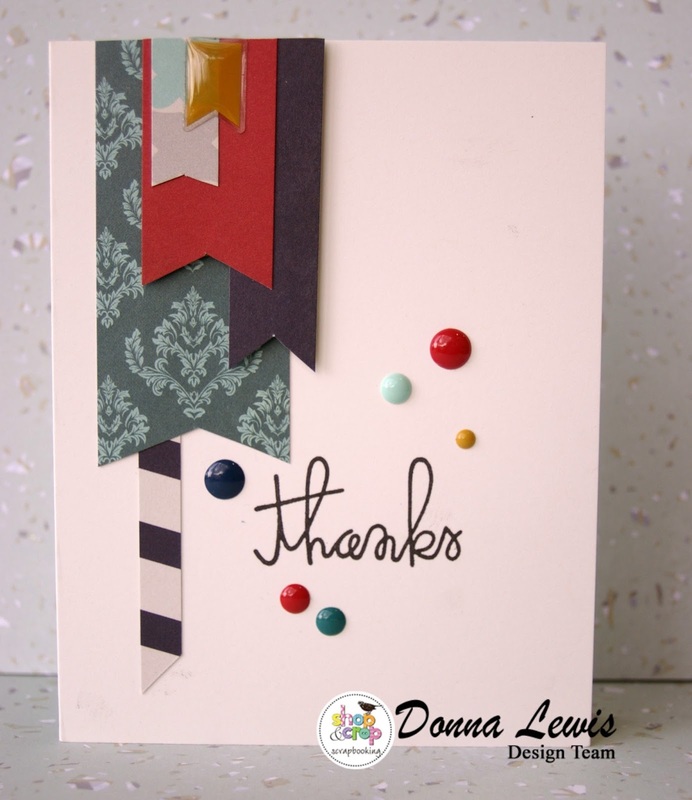 This is a great way to use ANY patterned paper, even very different papers to this, like cutesy papers. Just choose your favourite colour or colours from the paper and have a play. Let each layer dry before you paint over it. Here's a close up of the layers of paint. 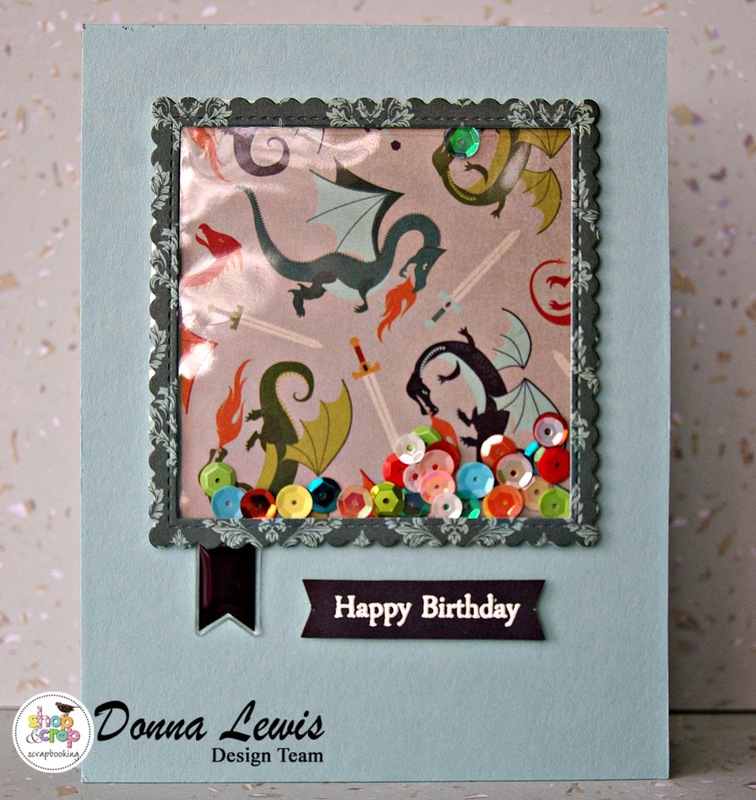 Next, I made a shaker card, perfect for a young boy or girl who's into dragons. 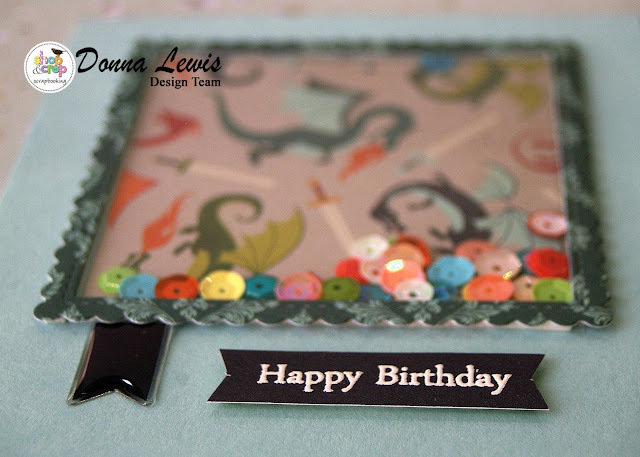 Using the dragon paper as a background, I cut a frame from another contrasting paper from the range and added coordinating sequins behind the window panel. The little tag below the frame is one of the gorgeous Enamel shapes that are available in the store. Look at how glossy that tag is! By popping the tags up at different heights and adding the enamel pieces, I was able to get quite a bit of dimension in this card. Now, as promised, to the Inside Inspiration Challenge. This is the gorgeous image that is the inspiration for this month. 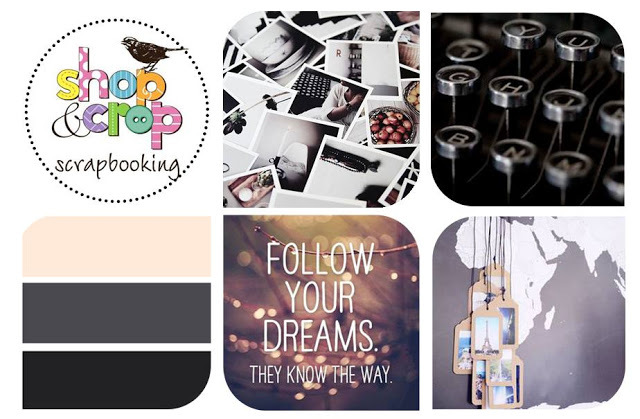 There's so much there to choose from- the colour scheme on the bottom left, the silver circles or the individual letters of the typewriter, the polaroid style photos, the look of the hanging elements or the world map in the bottom right, the idea of following your dreams - the list goes on, and your entry doesn't have to look like any of these pictures, as this is just a springboard for ideas. You can stay close to it if you wish, but you don't have to. Make sure you get yourself added to the Inside Inspiration Facebook group so that you can enter and win a credit to the Shop and Crop store. 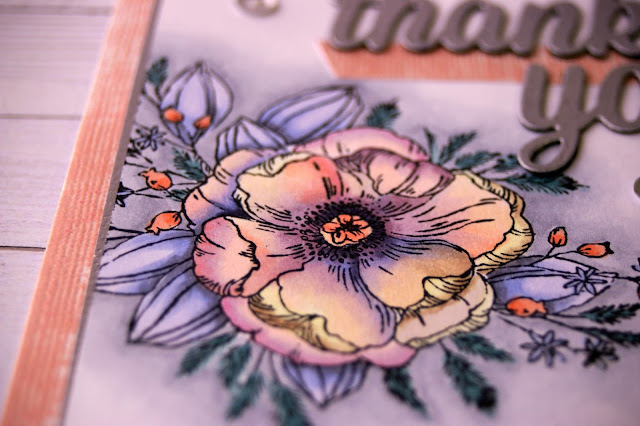 I took inspiration from the apricot and grey, as well as the silver in the typewriter image to create this card, using one of my favourite techniques, which is Copic colouring. Although the overall look of this card is grey and apricot, if you look closely at the main flower, you can see purples, blues, browns, oranges and yellows. This kind of colouring is like therapy! If you have enjoyed these cards, and would like to see more of my work, feel free to visit my Instagram page, where you can find lots more cards. Don't forget, you can save $5 at the Shop and Crop Store using the code DL5. 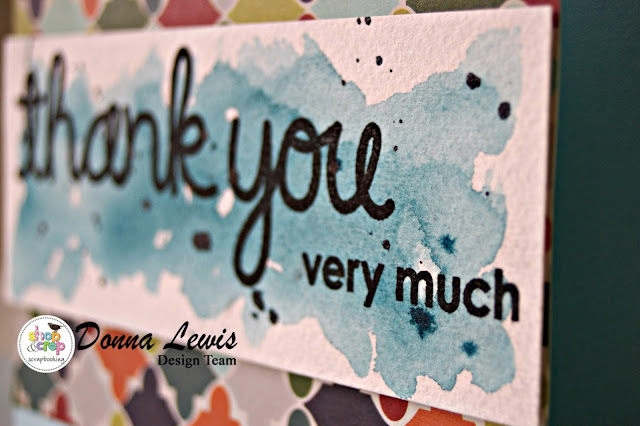 Love You, Beautiful and a Card or Two! Having Fun with Mixed Media!! MY MINDS EYE - IN BLOOM KIT.